Did you know that there is more to dance than merely learning steps to music? Dance has a history of stimulating people, physically and mentally. In fact, the benefits of dance are so widespread—it’s sometimes recommended to help those suffering from neurological disorders—that studies have been conducted to find out how and why the brain is so affected by dance. It is mostly about coordination; dance requires the brain to not only ask the body to move, but to do so in sync with the music, and in very specific ways. The mind is thus coordinating complex processes using several regions of the brain, and dancing has the potential to improve cognitive functions in many ways. Specifically, bodily movements begin in the brain’s motor cortex. This area also contains its own parts, which each control an individual part of the body. The motor cortex sends signals down through the body, telling it to move. For dance, this part of the brain works overtime; it coordinates all parts of the body involved in all of the movement, and all at once. Therefore, the brain gets significant exercise, too. Memory: The more you learn and retain, the better your memory. Dance requires learning and memorizing steps to such an extent that they become almost natural the more you practice. Thus, memory is improved. Coordination: The various positions and movements of dance require some dexterity. Placement of feet and hands at the right timing is excellent practice for improved motor skills and coordination. Spatial Awareness: Dance requires that you learn to navigate with and around your partner, as well as other people. This improves special awareness and control. Balance: Learning controlled movements and patterns teaches the body—via the brain—to move better over time, promoting strength and balance through muscle memory. Some studies have found that dance may decrease the risk of dementia in elderly patients. Dance is also encouraged for young children to aid in their early cognitive development. 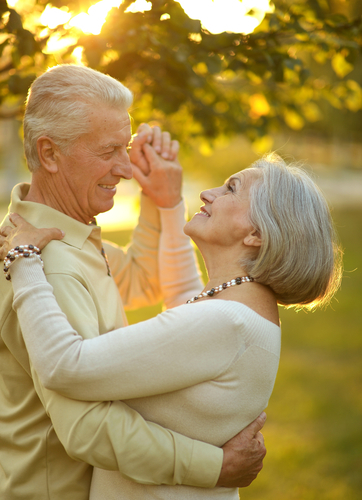 Dance therapy and related health recommendations are common practices. Dance therapists work with a variety of people, all who have different needs. Therapy through movement is used to aid in the improvement of physical, mental, and neurological conditions. A person does not necessarily have to engage the services of a dance therapist, however, to reap the same benefits. Under the recommendation of a doctor, a patient may seek out a professional dance teacher and take lessons at a studio. At Dance Passion Studio, we provide dance lessons for any adult learner, at any level. Whether you’re interested in its therapeutic value, or you need to learn for an event, we’re happy to teach you, and have fun doing it. So, come see us today and let’s get dancing. This entry was posted in dancehouston and tagged brain, brain while dancing by admin. Bookmark the permalink.